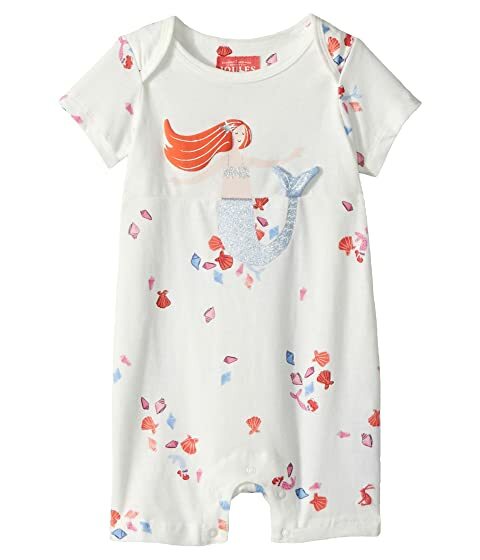 Your little carefree gem is sure to love the colors of this magical Joules® Kids Mermaid Novelty Knit Babysuit. 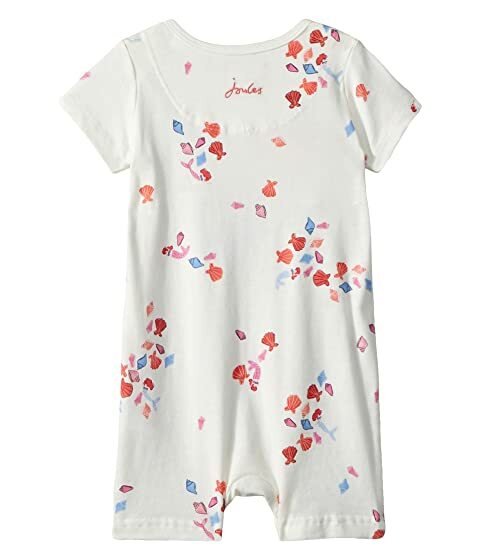 One-piece bodysuit features snap-button inseam for easy diaper changes. Ultra-soft knit boasts appealing seashell pattern with mermaid print throughout. Mermaid applique with glitter accents and dimensional fin. Product measurements were taken using size 6-9 Months. Please note that measurements may vary by size.